Ice Age Bobcat Fossil with Facts, Pictures and Info. Lynx rufus. Photo by Conrad Fijetland, courtesy U.S. 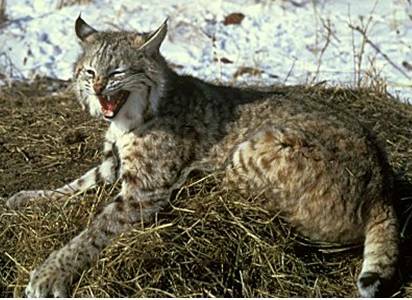 Fish and Wildlife Service Online Digital Media Library. The Bobcat fossil is part of the Lynxes of Florida and is one of the five conical-toothed felid ancestors that are present, in the Pliocene and Pleistocene Periods, of Florida. 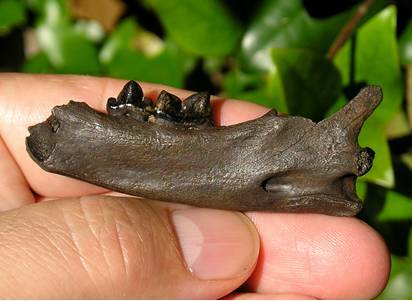 The oldest Pliocene ancestor of Lynxes, in Florida, is Lynx rexroadenis. This Ice Age Cat likes living in wooded areas, near swamp environments or semi-desert habitats. It is generally, a nocturnal, solitary and territorial animal. This prehistoric cat is a secretive animal, in nature. It has a “bobbed” tail with black and white ears. It eats rabbits, small birds, mammals, many types of rodents and will occasionally eat insects and deer. It buries its larger kills to return later to feed on them. A relative late comer to the Pleistocene Period or Ice Age, it is believed to be an ancestor of the Eurasian Lynx that arrived in North America 2.5 Million Years ago. Lynx rufus was evolving only 20,000 years ago. Twelve subspecies are present today, of the Lynx. The adult male, of this ancient cat, can reach 47 inches (120cm) in length including the tail. It can stand 15 inches (38cm) tall and weigh as much as 30 pounds (14kg). Some size variation occurs in different habitats. 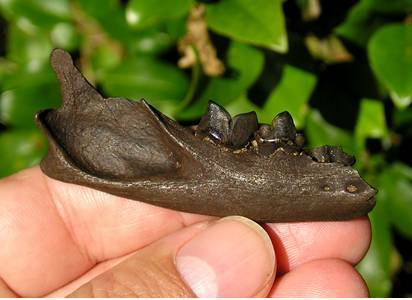 It was somewhat larger, in the Pleistocene, and about the size of Lynx canadensis.